It had been about four years since the last time I saw Wilco live. I'm not sure why it took me so long but it was well worth the wait. 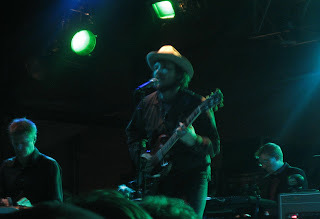 Wilco played to a sold out crowd at the final show of the season for KC's newest outdoor venue, The Crossroads. The band seemed to not really be that into it initially but by the end they said that the crowd won it over for them. Jeff Tweedy said the crowd was one of the best of the tour and that he "didn't want to have fun tonight". You could tell that all of them were genuinely having a good time, especially when Jeff Tweedy did a little impromptu "dance" during the final part of 'Hummingbirds'. Wilco played songs off every album they have put out, with four songs alone from their debut, AM. 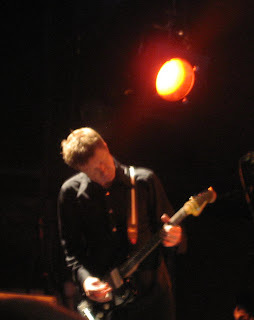 Nels Cline is an absolute monster on guitar and was definitely one of the best parts of the show. The overall highlight was after a fireworks display during 'Spiders (Kidsmoke)' Jeff Tweedy proclaimed, "Take that Elton John!" This show was one of the best concerts that I have been to in a long time.